Facebook is building a vast new data centre in order to archive all of the content its members rarely access. 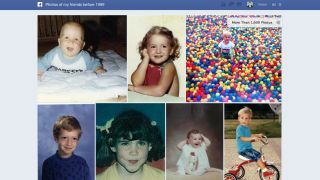 A brand new 16,000 square-foot facility is under construction in Prineville, Oregon in the United States, where Facebook plans to keep all of those old photos, wall posts and status updates from bygone eras. The social network claims that 8 per cent of the images uploaded account for around 85 per cent of the traffic generated by photos at any one time. So, the idea behind the new slow-running "cold storage" centre is to cut Facebook's energy costs by making the rarely accessed content less immediately available. However, this doesn't mean you're going to have to wait in line to take a stroll down memory lane and bring up your photo album from Kavos '08. "The principle will be so that it doesn't impact the user experience - so think about a matter of seconds, or milliseconds," a Facebook spokesperson said. The new facility, which joins two others in Prineville, will allow for the storage of an exabyte of data, which is the equivalent of 250 million DVDs.